Home / Campaigns / How should I define the segmentation/target audience for my Campaign? Helpshift Campaigns Segmentation from Helpshift on Vimeo. Your Target Audience defines the type of user you want to receive your Campaign Message. You can target your users based on many different types of properties, including: device, engagement, user, and Issue. 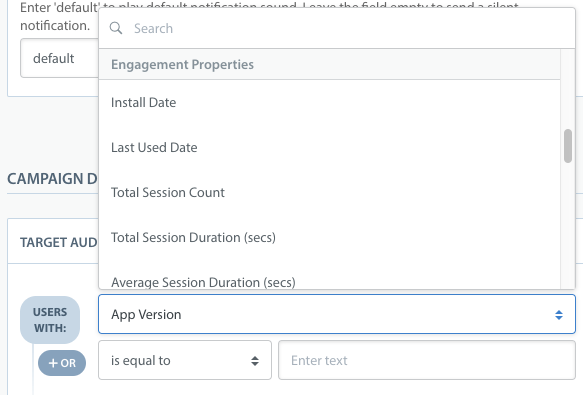 Engagement properties measure how users open and engage with your app. 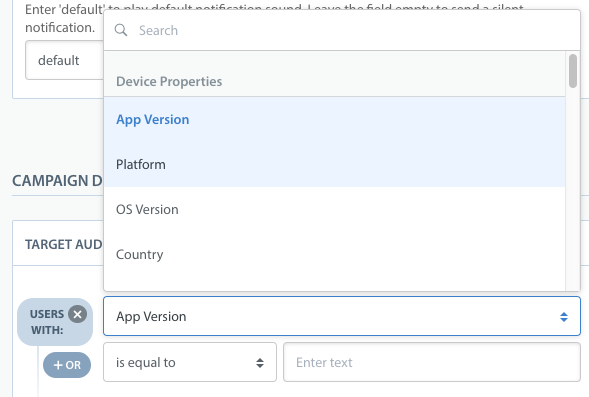 Like device properties, they are automatically passed through to the Helpshift Dashboard and do not require additional configuration. User properties allow you to target Campaigns to users based on custom user metrics/data. These must be configured by your developer so you can access them from the Campaign Editor screen. 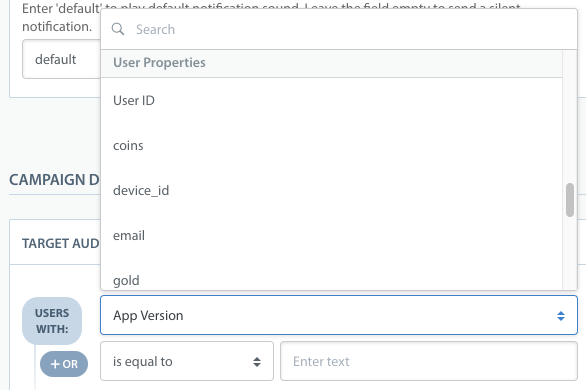 To configure your user properties, please direct your developer to our developer documentation for iOS and Android. Issue properties are values based on support related information, such as number of Issues filed, Issue creation date, tags, and more. To learn more about utilizing Issue properties when reaching out to users, please see How can I proactively message users who have reached out for support in the past? Ultimately, the decision of how to use the information above to structure the best Campaign for your needs is up to you. If you’re still deciding what type of Campaign to run, please see Should I run Broadcast or Continuous Campaigns? To review the basics of Campaigns, see What are Campaigns and how do I use them? Please note: Helpshift only stores user data for 90 days, so Campaign messages will not be sent to users who have not used your app in 90+ days. If you are seeing an inaccuracies in your estimated audience size, see Why am I seeing ‘0’ for the Estimated Audience Size in my Campaign Targeting?